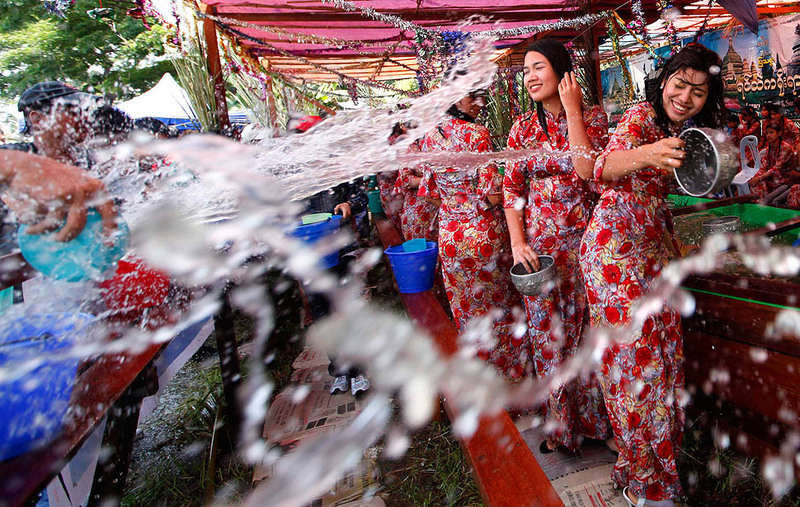 On April 13th the Buddhist Water Festival will begin in Myanmar. This holiday is symbolic and sacred to the Buddhist people of Burma. However in the Arakan this holiday could flow with blood rather than water. Reports of racist Buddhist clergy participating in spreading the message of the Burmese hate group 969 have been popping up every since the riots and anti-Muslim attacks in March. The tweeters who have been reporting these warnings of potential attacks on the Rohingya all point toward the Water Festival as the key time for such pogroms. People like Jamila Hanan and Aung Aung (@JamilaHanan1 and @AungAungSittwe on twitter) have been sounding the alarm of yet another attempt by groups like 969 to complete their campaign of ethnic cleansing in the Arakan. It is also important to note that these same citizen reporters were the first to warn about the pogroms that took place in Meiktila and other areas were Muslim minorities were attacked in Burma last month. In a recent report by Burma News International (http://www.bnionline.net) information about tensions leading up to the Water Festival have come out. In their account of the rising tensions in the Arakan region the Nasaka (Burmese Border Guards) have been extorting money from impoverished Rohingya communities to help fund the Water Festival in neighboring Buddhist villages. In the case they reported the Rohingya were forced to pay an exuberant amount of cash despite being hungry and without water. The money was then going to fund a Buddhist village that consisted of Rakhine from Sittwe and neighboring areas in addition to Rakhine who had migrated from Bangladesh once the Rohingya homes had been burnt. Once again the racial element of the tensions in the Arakan cannot be overlooked. It is clear through reports like the one from Burma News International that government affiliates are using racial code to enforce biased laws. And yet despite clear cases of ethnic cleansing, pogroms, and racial discrimination within Burma the West remains eerily silent on the issue. Great world leaders, or so they claim, have failed to put pressure on Thein Sein and his military puppets as they continue to grind the Rohingya community into dust. It should be clear that when a government openly refers to a community as "Kalar" (or any other racially charged term) that the said government does not intend to defend the basic human rights of that targeted community. It should also be clear that when an exploited community has been targeted by government funded mobs and military alike that if violence restarts the world should expect no different outcome than the last. If the world will not listen, if it will not stand up and fight for the down trodden... if nothing is to be done to stop it... Burma will wash away it's "kalar" communities. And like a river of blood, the stain this chapter in our history will not simply disappear. The stain this has left, the blot it will leave, will forever be upon our hands as well as upon those of the murderers'.